Engineers, doctors, lawyers, and businessmen—all these professions are nothing without a common thing, a teacher. It is, after all, a teacher’s job and pride, nay, a privilege to mold young minds into their true potential. More often than not, it is education, coupled with hard work, dedication, and passion, that brings us success in life. There are some exceptions, of course, people who go on to reach greater heights even though they quit school. However, these people had teachers too, those who inspired them, and those that inspired them to rebel. you may also see Plan Templates. As for teaching, one true fact is that there are so many things to learn yet there is so little time. Even for just one focus or area of study, it would take a lifetime to learn everything about it. It is for this reason that different teachers study and teach different lessons. It is important to teach the basics of these subjects during the early days of school to get the younger generation up to speed. How else can they survive in the world if they are incapable of reading or counting? 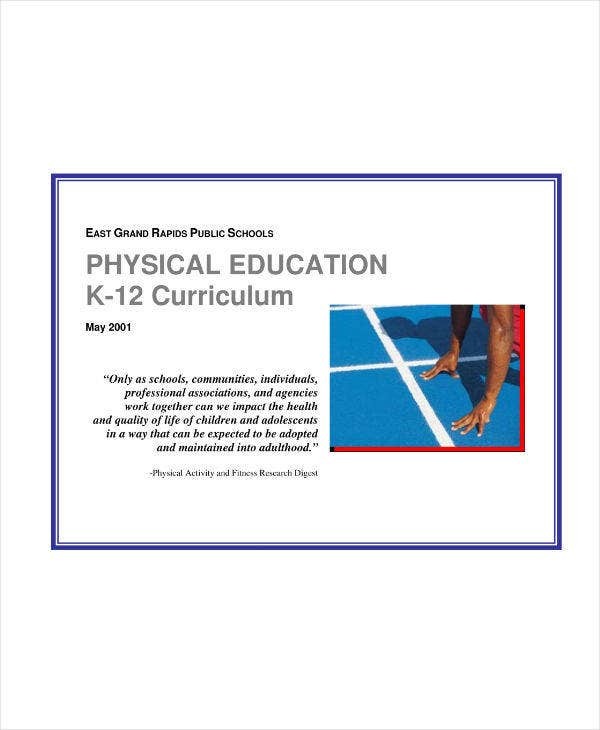 You can also like sample physical education lesson plans. If a teacher aims to teach his or her lessons in a clear and effective manner, he or she needs a handy companion in the form of a lesson plan. A lesson plan is a teacher’s detailed description of the course or subject of instruction. In a sense, it is their “learning trajectory” for a lesson. Teachers develop daily lesson plans in order to guide class learning. “Those that can’t do, teach, and those who can’t teach, teach gym.” Those were the words of Jack Black as Dewey Finn in the 2003 Richard Linklater film “School of Rock” (although it might have originated from Woody Allen’s spin on an old joke.) Yes, it is a humorous line at the expense of the gym teacher. Yet, gym or physical education teachers are there for a reason and that is to make a difference, just as with all other teachers. 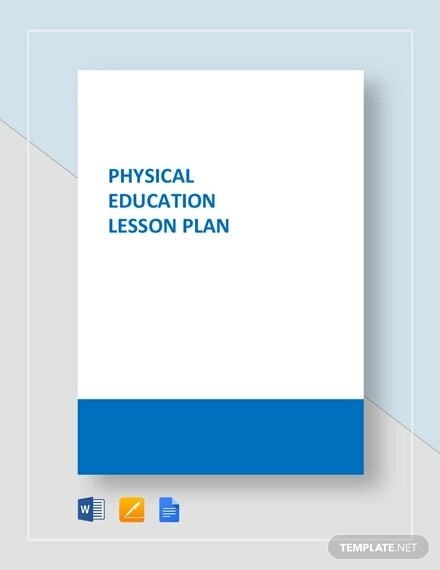 You can also read physical education lesson plans. 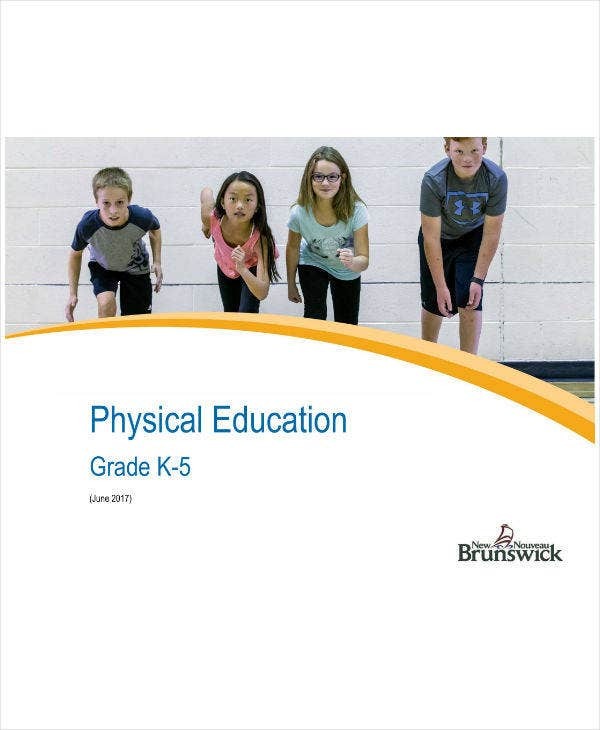 Physical education, also referred to as Phys Ed., PE, gym class or simply gym, is an educational course related to the maintenance of the human body through a physical exercise like calisthenics. Usually, this course is taken during primary and secondary education. It encourages psychomotor learning in a play or movement exploration setting to promote health. Just as the mind is worked to fill it with useful lessons, the human body should be worked to keep it healthy and functioning. Whether you teach many subjects or just teach one, lesson plans matter. The quality of your lesson plan matter even more. It will determine how efficiently class time will be used and how much your students learn in one period. 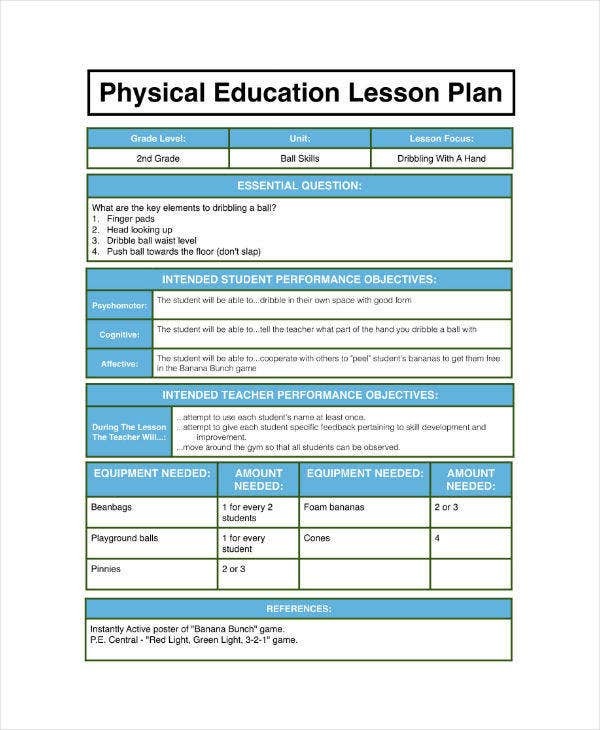 Lesson plans are meant to guide your instruction in order to maximize classroom or gym time and as such, the main thing would be to be sure that they contain the primary elements of the lesson. They do not even have to be lengthy. You can also read free lesson plans. You lesson plan should indicate which materials are needed for the upcoming lesson. This includes both the things that you, the teacher, and your student’s needs. For gym class, this might include which balls you are going to need and how many of those balls. It important to include the materials so that there will be less scrambling around in the middle of a lesson trying to make up for the things you lack. Having your resources line up ahead of time saves class time and grants you a peace of mind. With the materials in place, all you need to do is devote your energy to teaching the lesson. 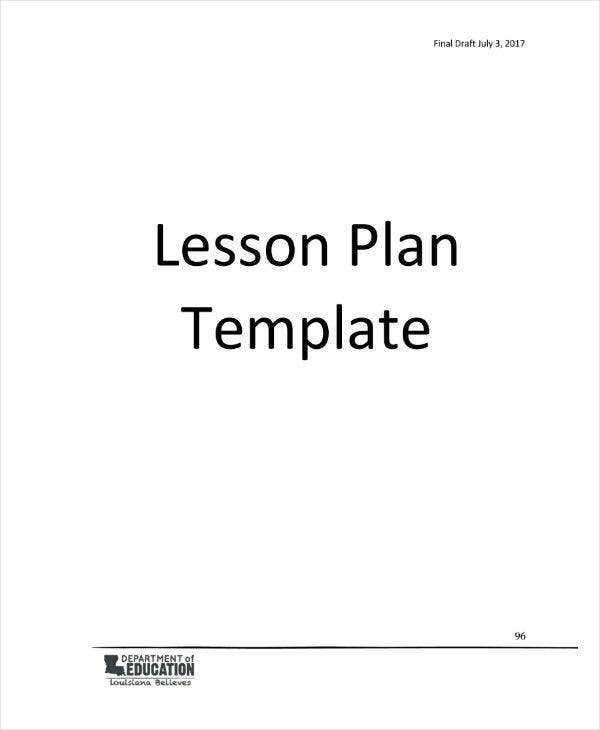 You may also read daily lesson plan templates. Your lesson should be clear on what you want your student to take away at the end of the lesson. This objective should also be communicated clearly to your students orally at the very beginning, or posted in a highly visible location in your classroom. Communicating these objectives to your students, whether verbally or in writing, can motivate them to work with a clear objective in mind. It would be much easier for you and your students to stay on track throughout the lesson. You can also read lesson plans in word. Yes, the classroom may be the place to go for learning, however not all learning happens in the classroom. In gym class especially, your students would probably have some kind of experience especially if they are active in play. A lesson plan can be used to set the stage of the lesson by tapping into their background knowledge to prepare them for the new lesson you are about to introduce. Their previous life experiences and prior learning are valuable tools to do just that. Let your students join in the discussion by asking them if they have played a game or a sport related to the one you are about to introduce. You may also like weekly lesson plan templates. This is the main point of the lesson plan. It is where you introduce the new concept which is stated in your lesson objectives. Make sure to speak clearly and concisely. Always remember to stay on topic. For gym classes which mainly involves physical activities, do your demonstrations properly. State the instructions, rules and obligations that the students need to follow. 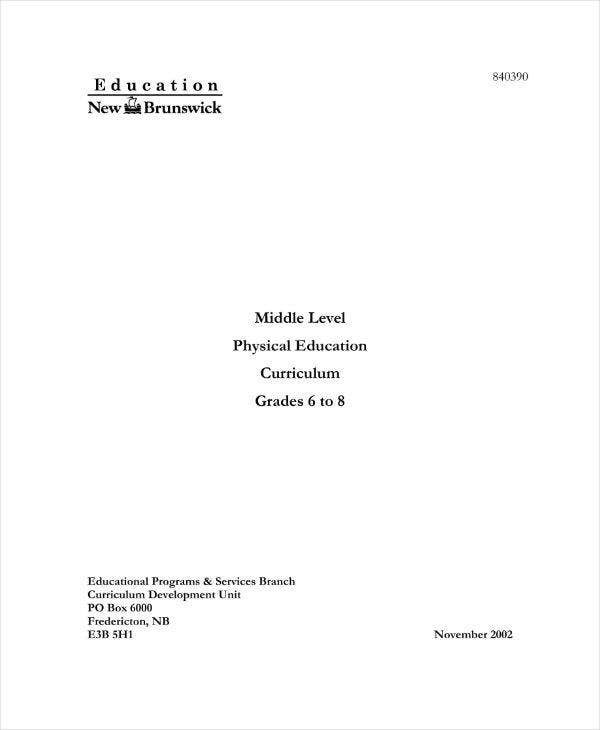 You may also read sample middle school lesson plans. If your lesson involves a pretty complicated exercise, remember to model. Speak aloud as you model throughout the entire process. Explain each step as you go along. It is imperative that your students get the lesson in order to avoid injury when it is their time to do the exercise. You can also read sample high school lesson plans. Student practice involves 3 steps: guided practice, collaborative practice, and independent practice. The aim of these 3 steps is to gradually release your student from watching your demonstration of the correct application of the activity until they can finally do it independently. The first of these steps the guided practice involves giving your students a few additional examples and demonstrations. You can also read sample elementary lesson plans. Encourage them to converse and ask about the lesson as they go through the process with you during this practice. The next step, which is the collaborative practice, means to allow students to apply the lesson in a cooperative setting This might include working with a partner in small groups, or in larger groups. If necessary, go back and demonstrate a few additional examples. You can also read teacher lesson plans. Make sure that your students are doing the correct application and not practicing mistakes. The last step of independent practice is the time for your students to apply and practice the lesson on their own. This is somewhat of a test to see if they really got the lesson. You will notice which students have grasped the concept and which student need you to take them a step back for a better understanding. You can also see Microsoft word lesson plans. This is the final component of your lesson plan. This is where things are wrapped up in a unique bow. If a lesson is an episode of a TV show, this is where the moral lesson of the story is shown. It usually a quick synopsis of the lesson. Activities that can be placed here includes allowing your students to share out something they learned or provide an example demonstration of the new exercise taught. Keep this part short and sweet. 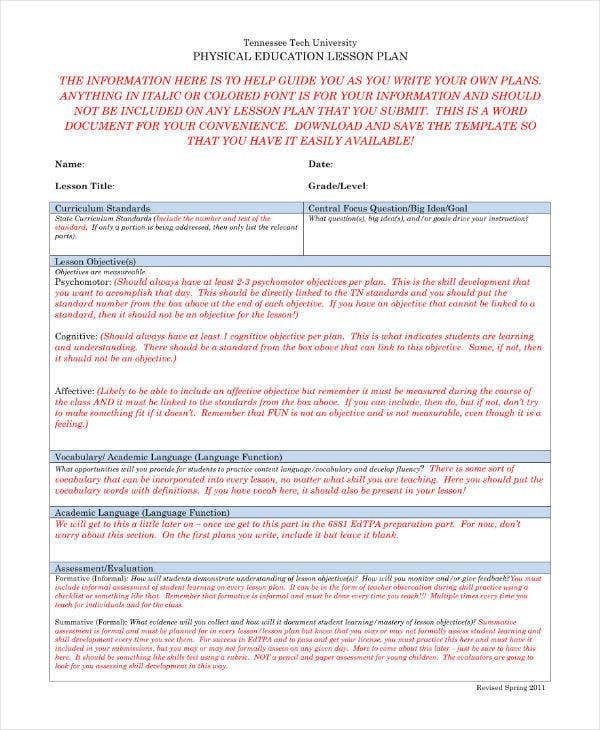 You may also like lesson plan outlines. It can inspire teachers to improve the further lessons. It can help teachers examine their teaching. It develops the teachers’ self-confidence. It takes proper care and considers the level and previous knowledge of students. It inspires teachers to ask proper and more important questions. It guides teachers as to what and how they should teach. It helps the students create an interest in the lesson being taught. It stimulates teachers to think in a well regulated and well-ordered manner. It helps teachers to understand the objectives properly. It helps teachers communicate understood objectives properly. Teachers carry some of the more important responsibilities and that is to make a difference. Without teachers and mentors, the world would have progressed a little bit slower. As such, the responsibilities of a teacher should never be taken lightly, even gym teachers who promote exercise and good health among the students. 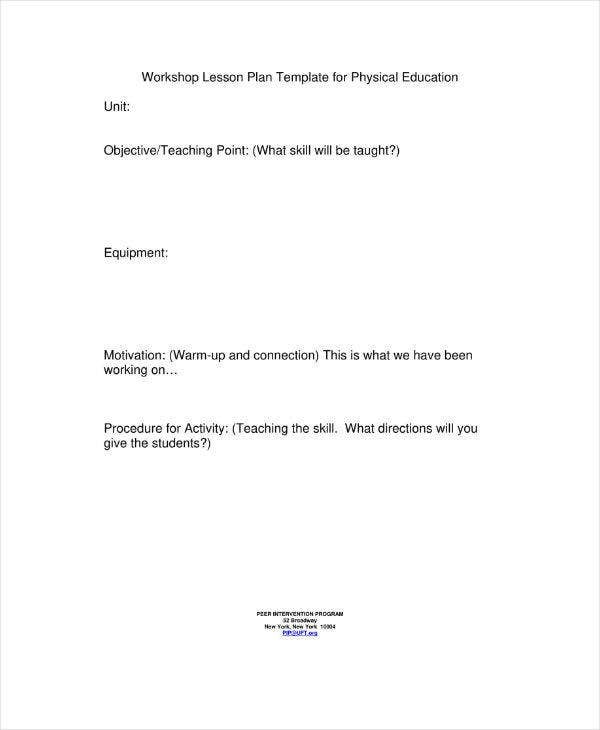 You can also read preschool lesson plan templates. With such a big responsibility, teachers need a help or guide in order to tackle their day to day lessons. Such guide comes in the form of a lesson plan. Through a lesson plan, a teacher can map out the classroom activities in a way that everyone in the classroom can get a grasp of the lesson well. You may also like sample kindergarten lesson plans.